Children and teens, because they are a developmental stage, often question authority and act out with disruptive behaviour to try and assert their independence. This is perfectly normal and parents often work with their children on what type of behaviour is appropriate. 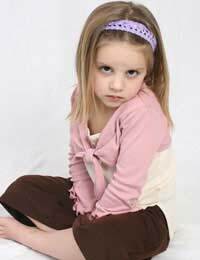 However, children who exhibit tantrums and extremely disorderly behaviour for longer than six months may be diagnosed with oppositional defiant disorder (ODD). In order to help parents of children with ODD, doctors often prescribe therapy. This is due, in part, to the fact that these children often have problems relating to others due to inappropriate body language. Children with ODD may show signs of what is referred to as a synthetic affect. This refers to the children exhibited body language not fitting of their behaviour. For example, the child may say something rude with a smile. Usually, a smile is seen as a positive form of body language that does not fit rude behaviour. How are other ways children with ODD recognised? ODD children are rule breakers who often blatantly do these things in front of adult authority figures, hence the word defiant in the ODD title. He or she may purposefully use a cell phone in class when told not to by the teacher. ODD children may sit with their heads down, pouting and appearing to be depressed. He or she may twirl their hair or cross their arms. Often the ODD child will do things to intentionally annoy others. They may poke other children, throw objects at them, tap their foot when others have asked them to stop, sit on the table, and make out of place noises. They will argue with adults just for the sake of arguing and to attempt to upset the adult. ODD children may also move slowly when asked to complete a task. Often, they may pretend to not hear when someone else speaks to them and appear confused when there is no reason to be confused. When they do understand that they have a task to do, such as clean up their room, they may procrastinate. He or she may choose to ignore the task or even other people by playing video games, watching television, or even sleeping. They may also do these types of activities when with a group, thus ignoring the rest of the people in the group. The body language of ODD children is very deliberate and obvious. These children like to feel they are in power and can gain power over others, such as parents or teachers, who should actually be in power in certain situations. Parents who have recognised this type of chronic troublesome behaviour in their children should seek medical treatment for an ODD diagnosis. With medication, patience, and proper therapy, these children can be taught to understand negative body language of others and learn to display their own body language that is appropriate to their moods. This may help him or her be better behaved, academically successful, and able to make friends.